Also in Thursday morning's round-up of news briefs, the U.K. readies for a tour of James Bond. A museum says it has found the earliest-made color film. And, Summit sets date for Divergent. The supposed California-based writer, director and producer, Sam Bacile, has no credit with an industry database. Bacile said he raised $5 million from 100 Jewish donors to make the film. Steve Klein, a self-described militant Christian activist in Riverside, CA told CNN he worked with Bacile on the movie, but told The Atlantic Bacile is a pseudonym, Deadline gives more details. 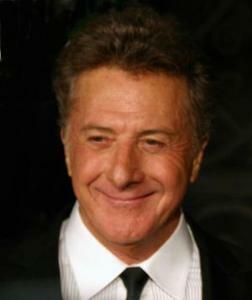 Dustin Hoffman, David Letterman and rock band Led Zeppelin will be feted by the Kennedy Center. The honorees will receive their Kennedy Center Honors medallions at a dinner hosted by Hillary Rodham Clinton and then they'll join President Obama and the First Lady for the annual gala December 2, CNN reports. James Bond Anniversary Event 007 Days of Bond Tours U.K.
Former Bond girls, including Eunice Gayson, Britt Ekland and Shirley Eaton, and villain Richard Kiel are also among the cast for the 007 Days of Bond tour. Roger Moore, 84, who starred in seven Bond films between 1973 and 1985, has officially launched 007 Days of Bond, BBC reports. The National Media Museum in Bradford, England said it had found what it contends are truly historic films from 1901/02, pre-dating what had been thought to be the first successful colour process – Kinemacolor – by eight years, The Guardian reports. Summit has set March 21, 2014 for the release of their young adult novel, Divergent. Written by Veronica Roth, the story revolves around the future-set tale of a 16 year-old girl who must decide to join one of five ideological factions that control society, THR reports. We at Extraordinary would like to celebrate you and your success and an Extraordinary Human. You are an inspiration to millions and we congratulate you for you moving movies and passion. Please feel free to view our profile of you, including video, your words of inspiration, and a brief biography. If there is more we can add please let me know.